The other day, though, I ran across this page by Russell Harris, explaining a feature of Terminal I never knew existed:Just right-click (or Control-click) on the command you want to look up. The word will highlight, and the context menu that pops up will have Open man Page as its top item. What we need here is balance. 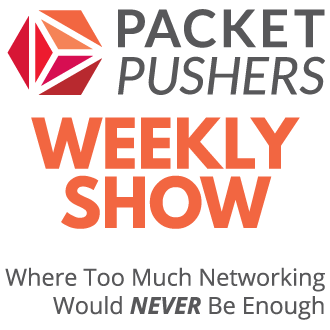 Unfortunately, the networking industry tends to get “shiny thing syndrome,” running off after new and “better” stuff every time something new and shiny turns up with any sort of early success. And another part of the networking industry sits around waiting for the new shiny thing to be able to solve world hunger before even thinking about it. But these are human level problems; a new organization can solve them for a short period of time, but reality has to set in at some point. Tooled-up Ryobi girl takes nine-inch grinder to Asus beach babe • The Register – I wish I could write a headline this good and accurate. Fair play to Ryobi for demonstrating that promotional blondes have moved on a bit from hitting the sand to check their Facebook accounts, and can now lay a patio with stylish aplomb. Why “Trying Too Hard” in Sports (or Life) Can Sabotage Your Success | The Wheelhouse | Big Think – Good advice from Big Think. Be smart not zealous. People think that the harder they try, the better the results. But effort versus success is not a straightforward upward graph but rather a curve. Once a player goes beyond a certain “effort” threshold, it actually begins to hurt their performance. Don’t Forget about the ASA’s “show conn” Command – PacketU – My most favourite troubleshooting command on the ASA firewall CLI too. Paul Stewart at PacketU reminds us. I often find myself troubleshooting connections through an ASA. 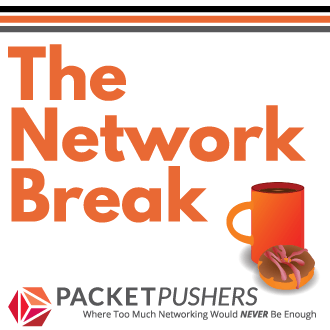 As a firewall, the ASA is often blamed for network connectivity issues. Therefore, we often just want to determine if the issue is upstream or downstream from the firewall. One of the first things that comes to mind is the packet capture capability. However, there is a simpler tool that may quickly answer these types of questions. That tool is the “show conn” command. My problem is that always forget the filtering syntax since I don’t work on ASA firewalls all that often. Choosing the Best Product for the Client or the Best for Me? | LINDSAY HILL – Lindsay Hill picks on a key problem in making cheaper networks, namely that customers get twitchy about paying for relatively expensive professional services on low cost designs. Cognitive Dissonance at its finest. Am I right in this thinking? Cheaper/free products can definitely do the job, and in the case of Open Source projects, they’re often the only way for really large companies to get the flexibility and power they need. That’s great if I want to work directly for those companies, or as a medium to long-term contractor. But it’s very tough as a consultant. There’s a lot of products I’d like to work with, but I just don’t/won’t get a chance. Maybe it’s time for me to change jobs? I’ve recently been through this scenario. The customer id come back to me and I was able to cut more than $6 million out of the datacenter design from “BigNameCompany” in the first pass. Now they don’t have any problem paying my fee. It is n’t a reliable business though. RFC 7203 – An Incident Object Description Exchange Format (IODEF) Extension for Structured Cybersecurity Information – Golf claps for security industry for discovering ways to share meta-data about notifications. Get Ansible to Work on Mac OS X Mavericks | IPyandy – Much needed piece since there seems to be a lot of interest in Ansible for auomation at the moment. If you’re trying to run an ansible-playbook or just testing around using a Mac running OS X Mavericks. There’s a good possibility that you’ll hit a little snag. Let’s try a simple ping ansible command. The Goldilocks Zone: Security In The Software-Defined Data Center Era | The Network Virtualization Blog – VMware Blogs – Martin Casado from VMware highlights that security might be the “killer app” for software defined data centres. I agree strongly that SDDC offers a better system for ongoing security improvement but I’ve found that it takes quite a few hours of whiteboarding before people understand why. A sales cycle of that complexity doesn’t scale or allow for rapid growth but it is very sticky. EMC appears to be demanding large profits from NSX division and I doubt this will be a strong marketing message which is truly a los for the industry. The next generation of security is about metadata and SDDC is a primary source for metadata.